The updated edition of the 2016 Benjamin Franklin Award winner for Best Inspirational Book! She faced her journey with determination, strength, and a positive attitude that inspired not only her community, but people around the world. Now a thriving college student, Kilee has become an author, advocate, and philanthropist focused on helping other young burn survivors and their families. Her charity, the Kilee Gives Back Foundation, has raised more than $100,000 for Shriners Hospitals for Children-Cincinnati in just two years, and Kilee has partnered with Shriners Hospitals to promote its national Be Burn Aware campaign. 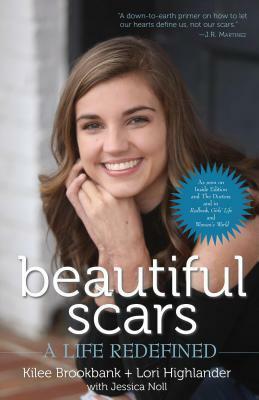 Told together by Kilee and her mom, Lori, Beautiful Scars: A Life Redefined is a story of recovery, healing, and hope, reminding us all that we’re never powerless, never alone, and that each challenge we face helps make us the people we are meant to be. Kilee Brookbank was 16 years old when her life drastically changed. A gas leak in her house caused an explosion that burned 45% of her body and almost kill her. What follows is her journal through treatments, surgeries, and simply learning to live again. I first received Beautiful Scars last year in late 2016. This is a horrible and beautiful story at the same time. Kilee is such a strong young lady. She went through hell and yet did not let it destroy her wonderful personality and attitude. I admit that it is heart breaking to read this story at times. But it goes to show you how having the right attitude can take you so far. 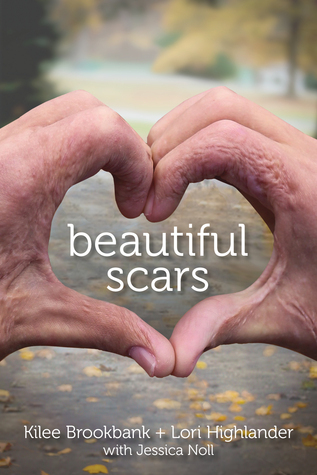 Beautiful Scars: A Life Redefined continues her story. She is not a college student and has started a charity to help others. I loved to see that she helps the Shriners Hospital for Children. I love seeing how she is helping those that helped her. If you want an amazing story to read, look no further. Kilee and her mother Lori are wonderful women. They both have a great message for everyone. This is one book that has to be an addition to everyone’s shelves. I received Beautiful Scars: A Life Redefined from KiCam Projects and Beautiful Scars from PR by the Book for free. This has in no way influenced my opinion of both of these books.